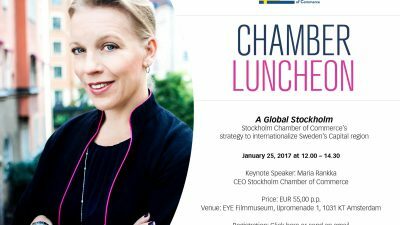 On January 25, 2017 the first Chamber Luncheon of the year took place presenting Keynote Speaker Maria Rankka, CEO Stockholm Chamber of Commerce. 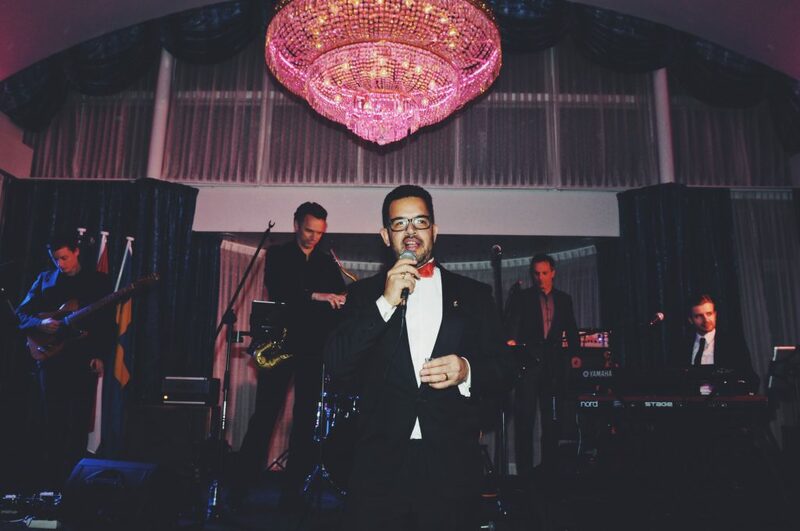 The Swedish Chamber of Commerce Lucia Dinner & Dance 2016! Thank you to all participants, contributing companies, and members for making the Annual Lucia celebration 2016 to a great success. A special thanks to Pia and Anders Rengefors, La Cuisine Scandinave, Hotels van Oranje, Handelsbanken and Inter-IKEA-Systems for their fantastic support. And thank you, lovely LAK from Lund, Sweden, for singing Christmas right into our hearts! 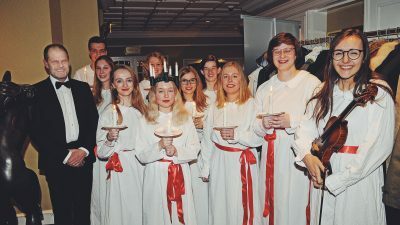 We would also like to thank Emila Molin, War Child Sweden and Tjipke Bergsma, War Child Nederland for their presence and for sharing the Lucia tradition with us in the Netherlands! 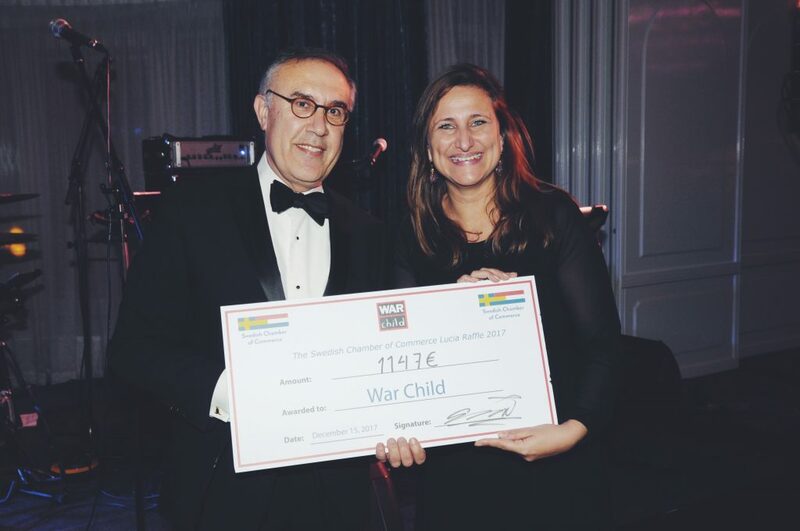 It was a great honor to hand over a check on behalf of the Swedish Chamber for the great work of War Child for children in war zones all over the world. Thank you to all contributing members and friends for making this possible. With this, the Swedish Chamber wishes all members and friends a Merry Christmas and a Happy New Year and we are looking forward to welcoming you to our exciting events next year! The Swedish Chamber of Commerce would like to thank all participants for joining the Chamber at the New Year’s Reception hosted by the Ambassador of Sweden H.E. Mr. Per Holmström on January 19, 2017. 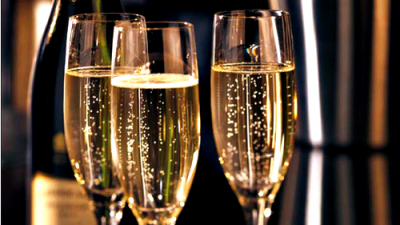 The Swedish Chamber is looking forward to a fantastic new year with lots of business promotions, company presentations and network possibilities. 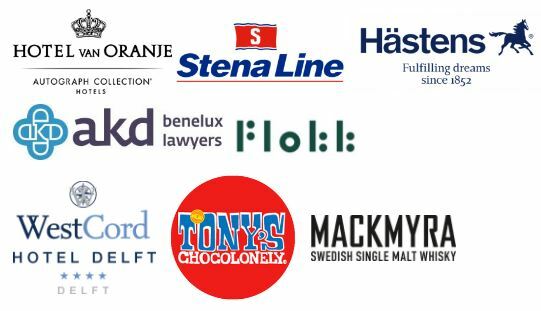 Welcome to recommend the Swedish Chamber of Commerce to your business realations and we are very pleased to invite them to become a member and to take part in our activities. 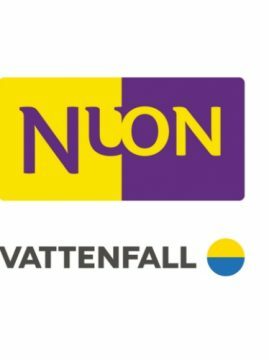 The Swedish Chamber of Commerce cordially thanks Ericsson, Inter-IKEA-Systems and NUON for supporting the New Year’s Reception. This Seminar has unfortunately been postponed by Loyens & Loeff to a later date this autumn. We apologize for the inconvenience. 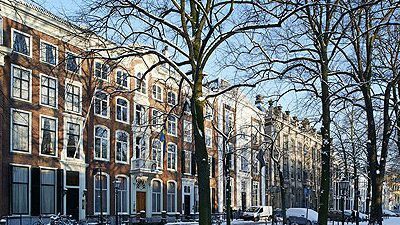 If you are starting up a business in the Netherlands, or if you are investing in a startup, what are the legal and tax challenges and opportunities you should be aware of? 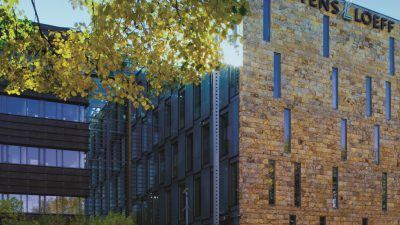 In a rapidly changing international tax environment, it is key to understand the impact of recent developments on Nordic multinationals with businesses and corporate structures in the Netherlands. 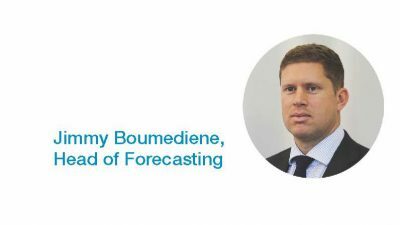 We will have a look at how various new measures against Base Erosion and Profit Shifting (BEPS) are affecting these companies. For example, are Dutch holding, group financing and intellectual property companies still viable? And what is the impact of country-by-country reporting and the exchange of tax rulings? The Swedish Chamber of Commerce Annual General Meeting 2017 was held on May 11, 2017 generously hosted by Inter IKEA Systems in Delft. The Board of the Swedish Chamber of Commerce presented the Annual Review 2016 and thanked the members for their confidence and for their loyal participation at the Chamber business network and activities. H.E. Ambassador of Sweden Mr. Per Holmstöm thanked all Board Members and especially leaving Chairman Ann-Charlotte Run, for their commitment and for carrying out the important task to promote trade relations between Sweden and the Netherlands in such an excellent way. 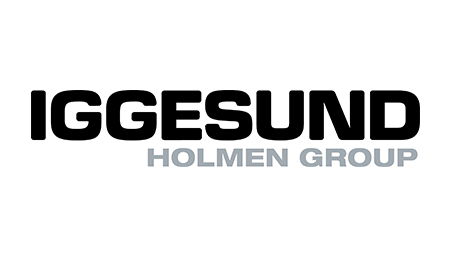 Ann-Charlotte Runn, Iggesund has been a Board Member for the maximum term of 8 years. Ann-Charlotte has served as Vice Chairman and been a member of the Executive Committee as well as the Nomination Committee and from 2016-2017 Chairman of the Swedish Chamber of Commerce. The Swedish Chamber of Commerce joins the Ambassador to thank Ann-Charlotte for her excellent and important contribution to the development of the Swedish Chamber during her 2 terms as a Board Member. Maria Karlström, Scania and Kees van Oosten Teekens Karstens were appointed new Board Members by the assembly and the Board are looking forward to the co-operation and to share their ideas for the future. 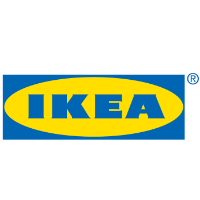 The Annual General Meeting was followed by a company presentation by Inter IKEA Systems. 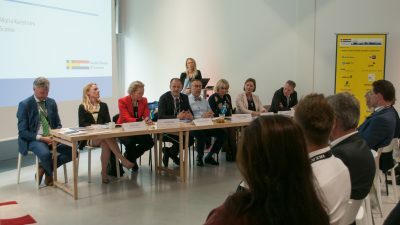 Ehsan Turabaz, Manager International Sales Department Inter IKEA Systems and Vice Chairman of the Swedish Chamber of Commerce welcomed the guests to Inter IKEA and introduced his colleague Cecilia Bengtsson, Business Transformation IKEA Group. After Cecilia Jonathan North, Sustainability Manager Inter IKEA Systems talk about IKEA’s Sustainability Strategy followed by a presentation by Göran Nilsson, Concept Innovation Manager at Inter IKEA Systems. The Swedish Chamber of Commerce would cordially thank Inter IKEA Systems for a inspiring afternoon, food for thoughts and new ideas. On December 15, 2017 the Annual Swedish Chamber of Commerce Lucia Dinner and Dance took place at Hotel van Oranje, Noordwijk. 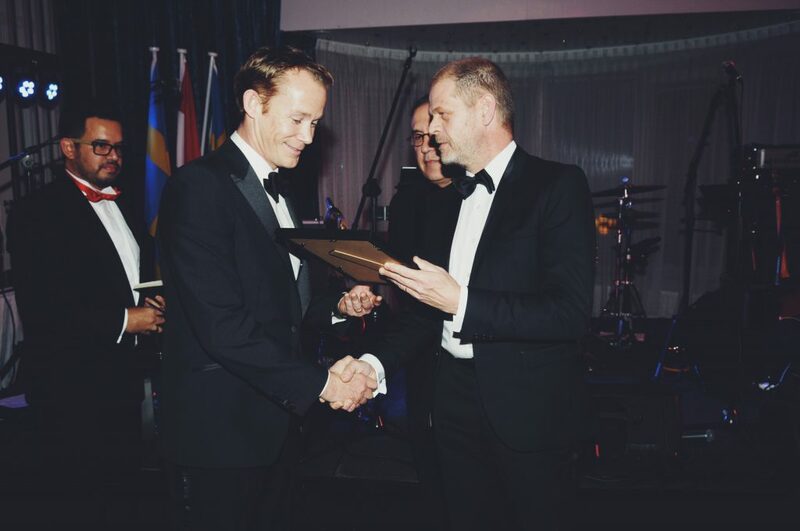 The Swedish Chamber of Commerce would like to thank Master of Ceremony Ruben Brunsveld for his excellent guiding during the evening taking the guests and participants through the snaps songs to the more serious parts as the Swedish Chamer Export Prize Award Ceremony 2017. Welcome to read more about the winners and the ceremony furhter below on this website. 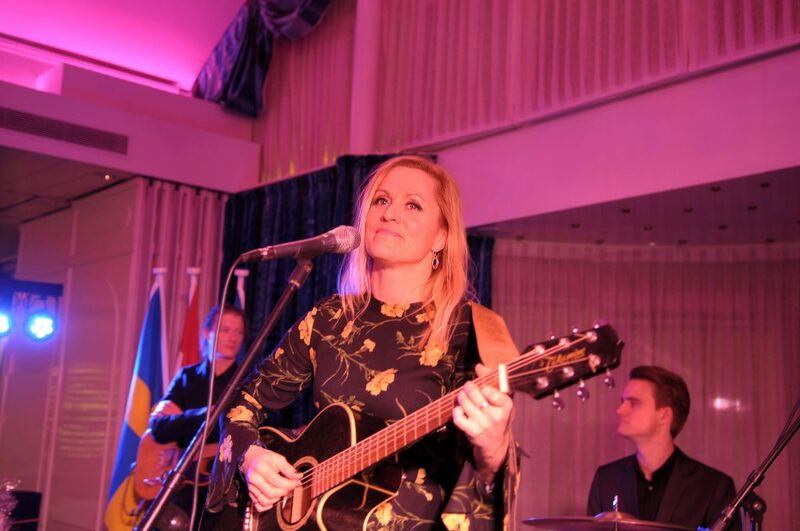 We were very happy to welcome Anne-Lie Persson who preformed with a few of her own songs and a few well-known Cornelius Vreeswijk numbers and later in the evening she and her band Stockholm Tivoli provided grand dance music for everyone who wanted to hit the dance floor. War Child. We would also like to thank La Cuisine Scandinave for there excellent Swedish Julbord with everything you can think of from the herring to the meatballs and Swedish Christmas ham! Over the years the traditional Swedish Chamber Lucia Dinner has become one of our most attended events and is, for many, the highlight of the Swedish Chamber social calendar. Over the years, it has attracted thousands of senior businessmen and women to gather and socialize in a festive spirit. 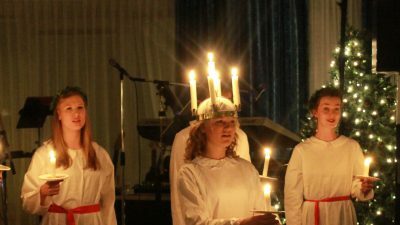 The evening offers, apart from including a traditional Lucia Choir and Swedish ‘julbord’, also first-class entertainment, great company, and fantastic networking opportunities. It was, without a doubt, an event to remember and we hope to welcome all our members back for next year! Swedish entertainment by Anne-Lie Persson and Ceremony Master Ruben Brunsveld, Enact Sustainable Strategies. Swedish Chamber Newcomer Export Prize 2017 from H.E. Ambassador of Sweden Mr. Per Holmström. Swedish Chamber Newcomer Export Prize was awarded to Daloc. 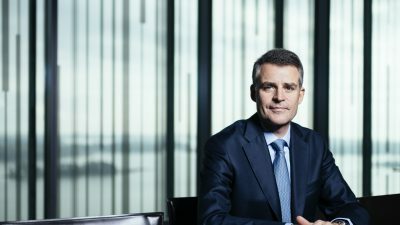 Robert Bueninck, General Manager Klarna B.V. receives the Swedish Chamber Export Prize 2017. 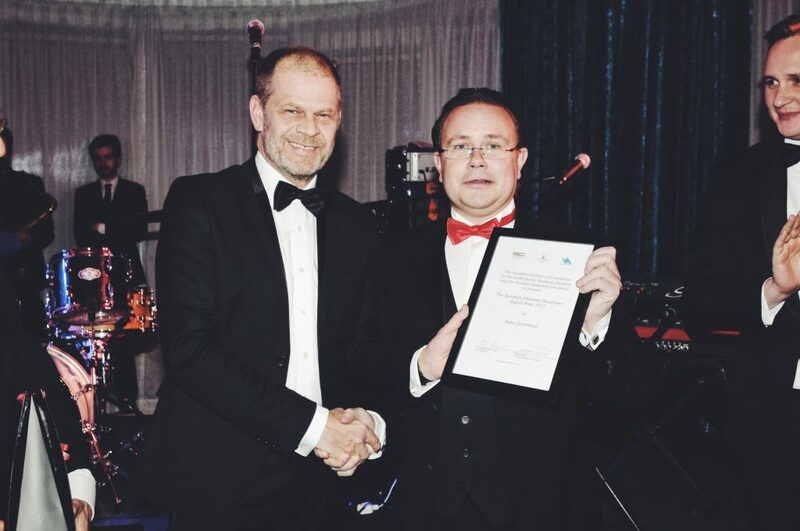 Fredrik Silverstrand, CEO Daloc with the Swedish Chamber Newcomer Export Prize together with H.E. Ambassador of Sweden Mr. Per Holmström. Grand Christmas Raffle for the benefit of War Child! Event photos below by EV Fotografie. 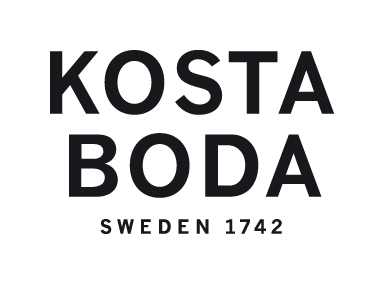 The Finnish Dutch Chamber of Commerce is very happy to invite the members of the Swedish Chamber of Commerce and Danish Dutch Business Club to their business luncheon with keynote speaker Mr. Henrik Ehrnrooth, CEO KONE in the presence of the Ambassador of Finland, Mrs. Katri Viinikka. The Finnish Dutch Chamber of Commerce has the pleasure to invite the members of the Swedish Chamber of Commerce for a Business Luncheon with Keynote speaker Ms. Susan Duinhoven, President & CEO Sanoma. 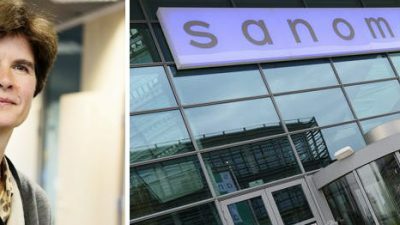 FDCC would warmly like to welcome the members of the Swedish Chamber of Commerce and the Danish Dutch Business Club to our upcoming business luncheon with the CEO of Sanoma, Ms. Susan Duinhoven, as our keynote speaker. Ms. Duinhoven will tell us about the variety of services that a modern media company, Sanoma, has for its customers and the challenges of the media business today. The event will take place on Friday, the 2nd of June at 12-14.30. This luncheon has a great location in restaurant De Kas, in Amsterdam.